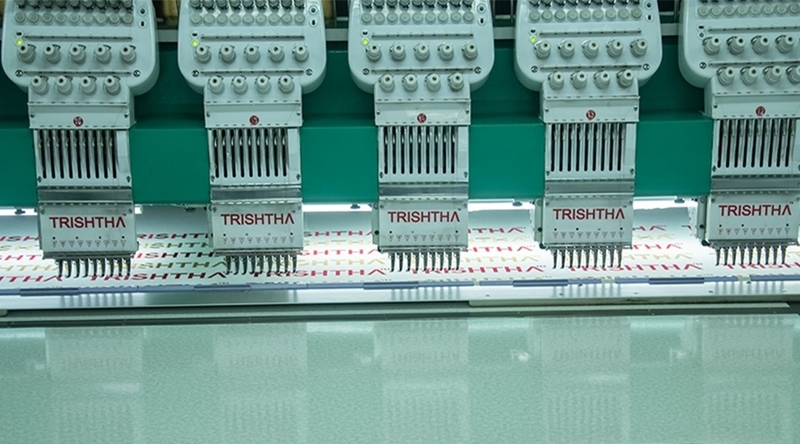 How Can You Start Embroidery Business With 6 Needle Embroidery Machine - Trishtha Industries Pvt. Ltd. There are some types of embroidery machine. Among them 6 needle embroidery machine is very useful. This machine is invented with modern technique. It has frame and hoop system. So, it can hold and stitch automatically. This machine has changed the world of embroidery. In former days stitching process only depended on manual power or tailoring machine. But, it was very time consuming matter and also was not perfect without any error. It was also very difficult to get complicated designs and patterns. But, with the help of modern computerised embroidery machine this problem has gone. Modern sewing technique: This machine can embroider complex designs and patterns very fast. With a short of time it can stitch a lot of products and you can attend more orders. This machine is the way to grow your business. It can stitch complicated designs perfectly without any flaws if you download it from any website and upload it in the machine. It is also a great opportunity to save money and to get much profit. It Stitches without manpower: This machine is very easy to use. You need not do any kind of hard labour. You can operate it very easily. There is no need any experience or training. This machine can embroider complicated designs and fulfil bulk order with a little time. It works very speedily: As digitizing software is used in this machine, its work is very speedy. It can move, crop, edit, sketch and copy with a little time. Its work is also perfect. There is not a single space of error. You can also use colour and designs as per your or customer’s choice. I would like to get more details like: Can you supply, install and service the machine all over India? What is the price like? How is your machine better than your competitors' machines?